Ok, this is gonna be a large scale armor battle for Star Strike and after that RA2, YR, and possibly a RP only version. It is going to based off of my recently ended military history exam battlefield. It will be for 2 to 8 players, and is highly recommended for teamplay battles. I will get screenshots up as soon as possible. I might even give u guys some info about my exam battle and who it was between, and where the battlefield is from. EDIT: Basic outline. This shows the basic elevation changes in the map. The small hill near the bottom left is called Desperation Hill. Not a bad start. Keep it up. 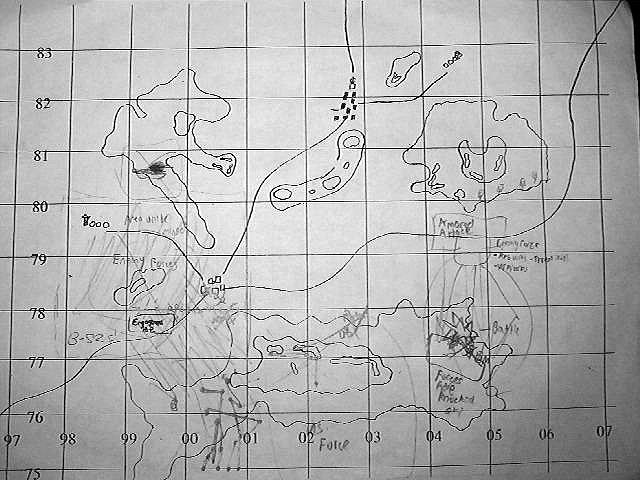 Here is the map that my military history teacher handed out to each of us to log our movements. Here is the updated map, with out cliffs and a partially done road.